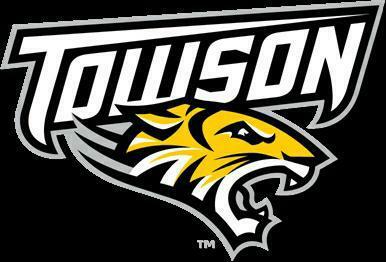 Welcome to Our Towson University Lacrosse Spirit Wear Web-site! Welcome to our Towson Lacrosse Spirit Wear Web-Site! Orders will be delivered at Face Off Event or at Games. Sublimated Jacket: You can add the player's number on the Right Sleve and up to two lines on the Right Chest (e.g. JoJo's Mom) as shown, for no additional charge. Click the green "Personalization" button after you have added the shirt to your cart. You can add the player's number on right sleeves (as shown) for $5.00. Click the green "Personalization" button after you have added the shirt to your cart. Sublimated Blankett: You can add the player's Name and # as shown, for no additional charge. Click the green "Personalization" button after you have added the shirt to your cart. Rugby Shirt: You can add the player's name to the back of the Rugby Shirt (in twill) and his number on the Right Sleeve (as shown) for $15. Click the green "Personalization" button after you have added the shirt to your cart. Men's Polo: You can add the player's number on right sleeves for $5.00. Click the green "Personalization" button after you have added the shirt to your cart. Winter Hat: You can add the player's number for $5.00. Click the green "Personalization" button after you have added the hat to your cart. Game Day Cooler: Logo and Personalization included. Click the green "Personalization" button after you have added the cooler to your cart. Game Day Tote Bag: You can add a name and the player's number for $8.00. Click the green "Personalization" button after you have added the tote to your cart. Towson Caps: You can add the player's number to a Cap for $5.00. Click the green "Personalization" button after you have added the scarf to your cart.